Ambassador María Teresa Merino Villarán de Hart, the Consul General of Peru in New York City, paid a visit to the College of Staten Island’s Willowbrook campus on November 1. The visit was a result of an invitation extended by the CSI Eta Lambda Chapter of the Phi Beta Delta Honor Society for International Scholars. The Ambassador was joined by Carolina Portugal, the Deputy Consul of Peru in New York. After a luncheon with members of the Center for Global Engagement (including Executive Director Stephen Ferst and Deputy Director Barbara Clark) and the English Language Institute (including Director Gonzalo Villena), Ambassador Merino Villarán de Hart attended a Transatlantic Cinema class, taught by Asst. Prof. Álvaro Baquero-Pecino. In addition, she met with CSI Interim Chief Librarian Amy Stempler to discuss a set of books about the indigenous people of Peru that she donated to CSI last summer, as well as a future donation of a set of books about Peruvian culture. Mr. Villena then took the Ambassador for a tour of the campus. 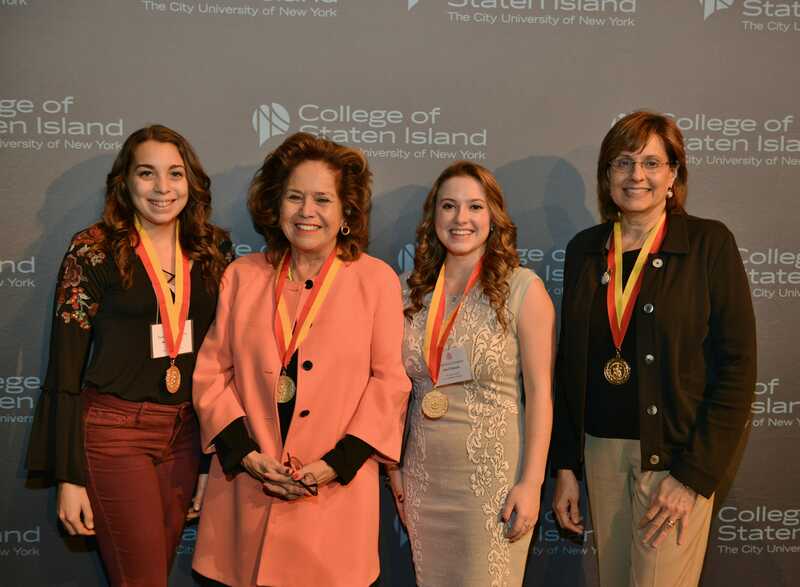 Ambassador Merino Villarán de Hart’s visit culminated with a keynote presentation titled “Advantages and Challenges of Diplomatic Life” at the Annual Induction Ceremony of the CSI Eta Lambda Chapter and her honorary induction into the organization. In her remarks to the inductees and others in attendance, the Ambassador recounted some of the high points of her almost 40 years of experience in the Peruvian Foreign Service, noting that much has changed since then. She concluded by stating, “The love of knowledge that you have shown in your respective fields, as students or faculty/staff, from the domestic or international arena, is the driver to achieve a better understanding of our world and its different cultures. It is through your thirst for learning and your adaptability that we can all strive to reach this goal.” The Ambassador also encouraged Eta Lambda members to intern at the Peruvian Embassy. The Ambassador’s visit concluded with a reception in the Center for the Arts West Lounge. A video report on the visit and ceremony in available on the Center for Global Engagement’s YouTube page.